It is clear that the thermometer is a useful tool that tells us important information about your child’s current physical health. So now imagine applying this tool to measure your child’s feelings or current mental health state. Like temperatures that rise and fall, feelings change and vary from very elevated and strong (e.g., rage) to less intense (e.g., anger) to slight (e.g., irritated) to not at all (e.g., calm). We can use a feelings thermometer to help identify the level or intensity of the emotion. Just like with a thermometer, we can understand that your child’s behaviour and reactions will differ depending on the intensity of the feeling, such as whether they are feeling a little bit angry or very angry. Once you and your child know the level of the feeling, it will be easier to decide together what to do next to calm down. There are many ways to create a feelings thermometer. Below are two examples for young children and school-aged children. 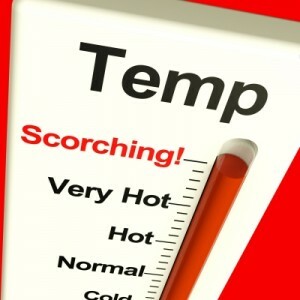 The thermometer can also be adapted and used for older children, adolescents, and even adults. For young children, a three-point scale works well. You can use colours, pictures of faces, symbols, and/or word labels to represent different levels of a feeling. 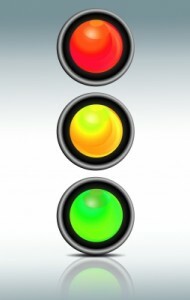 For example, a traffic light (red, yellow, and green) can be one way to show a range of a feeling. That is, green would represent a low level of a feeling or simply “calm” or “okay”. Yellow can show a little or a medium level of a feeling. Yellow can serve as a ‘warning’ to take some action so as not to elevate to red. Finally, red would signal a lot or a high level of a feeling. If a child is in the ‘red’ zone, he or she should have some strategies to lower the intensity to yellow or green. For instance, a child having a temper tantrum would be in the ‘red’ zone and could learn as a first step to take ten deep belly breaths to start to calm down. Importantly, the same scale or images can be used for a variety of feelings, including anger, sadness, fear, and anxiety. Be creative and have fun designing your own thermometer. Try to find examples that apply to your child that will explain what each symbol, colour, and/or level of your thermometer means. Lastly, discuss ideas on what your child can do to feel better and to lower the intensity level of the emotion. For school-aged children, a five-point scale is suggested. Here too you can use colours, pictures, symbols, word labels, as well as numbers (from 1 to 5) to represent different levels of a feeling. I prefer to draw a thermometer vertically and number as well as label each level of the scale. For example, an anger thermometer could have 5 levels: 1 = not at all angry; 2 = a little angry; 3 = angry; 4 = very angry; and 5 = extremely angry. Then I try to come up with examples of what each number looks like for the child and situations when they felt that way. Once the anchors of your thermometer are clear, you can begin to think of strategies to lower the intensity or number of the emotion on the scale. One advantage of a feelings thermometer is it provides a new way to identify and talk about feelings. You can refer to the number or colour and use it as a vehicle to develop healthy coping tools. What do you think about this tool? In my experience, the feelings thermometer works great for children of all ages and for different feelings, including anger and anxiety. You can also consider using the thermometer with the Worry Jar, a tool that I discussed in an earlier post. Will you try making one with your child? Please let me know how it goes. As always, I welcome your feedback, questions, and comments.